If you just warmed up to the idea of starting your own business in 2017 and find yourself in a whirlwind in early 2018, you might seriously need to update your startup tech with a few fun-to-use, exciting new widgets, all available for your convenience from Amazon. Before you get out there and start spending money on a thousand things you might need, review our list of the top 5 tech gadgets that make sense for any bootstrap venture. If you’re among the tens of thousands of Americans who has opened—or is thinking of opening—a new business this year, there are a few must-have items you’ll need to get started on the good foot for 2018. 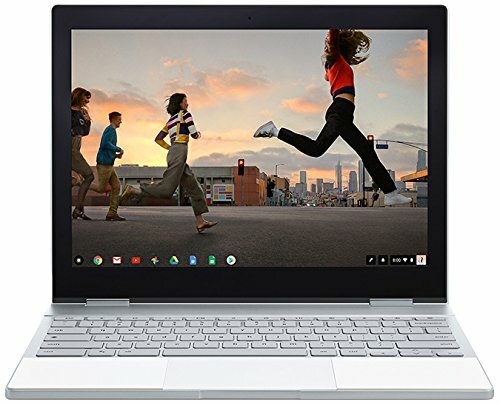 Most of us have heard of Chromebook and seen the various Samsung, Asus, and other iterations available at places like Best Buy and other electronics stores. But for 2018, the Google Pixelbook offers a tremendous bang for the buck. With four out of five stars on Amazon, the i5, 8GB RAM, 128GB Pixelbook makes for the perfect workplace assistant. It’s easy to take to and from meetings and work stations, and offers users a way to quickly and easily access and use the G Suite of products, including Drive, Sheets, Docs, Calendar, and much more. The ultra-thin and lightweight design is perfect for tossing in a handbag or backpack, and the automatically updating Chrome operating system means you’ll always have superior protection against viruses. For those who need speed, the Pixelbook starts in about five seconds, stays fast all day long, and never slows over time due to loading errors. Get the latest Google Pixelbook for just $975 on Amazon, and have it shipped for free and delivered within two days when you order from Amazon Prime. For less than $10, your office can be better safeguarded against everyday colds and flus, and can actually make you feel better if you do get sick during one of the worst flu seasons we’ve seen in the U.S. in a century. 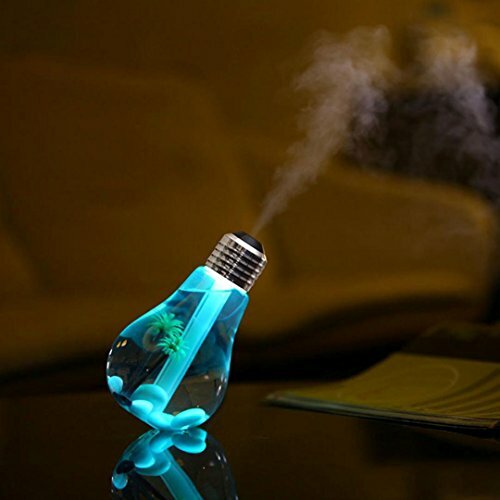 The Ecosin Lamp allows you to add your own essential oils to the air, making your brick and mortar shop and work area smell delightful. Add a hint of grapefruit or lavender to the air to feel healthier, a touch of peppermint to ward off illness, or add seasonal aromas like pine or pecan to make it feel like the holidays. Because it is a humidifier, the Ecosin Lamp enriches the air with both a lovely scent as well as added humidity to make air safer and easier to breathe. What’s more, if you’re dealing with unpleasant smells within the office or shopping area of your small business, the Ecosin Lamp gets rid of yucky odors and replaces them with your favorite scents. And finally, this compact and aesthetically appealing humidifier helps to keep your skin moisturized—for shop owners that don’t get outside as much as they’d like, this feature is a great way to stave off seasonally dry skin while also combatting odors and offering fresher air to breathe. Pay $1 for shipping for this great office gift idea and your grand total will be less than $10.50 for the Ecosin Lamp, available on Amazon in bright blue. With more than a thousand customer reviews and over 500 questions answered on Amazon, the Monoprice Select Mini 3D printer with Heated Build Plate is an Amazon bestseller that small- to medium-sized business owners love to use. The Monoprice supports all filament types, including basic ABS and PLA filaments, and advanced filament materials like conductive PLA. Unlike many other small or affordable 3D printers, the Monoprice comes ready to print right from the box, after being calibrated right in the factory. You can begin printing anything you want or need for your office or work space right away, and the compact design of this 3D printer means it takes up very little space. It’s open frame design means the Monoprice will fit on top of any everyday desk space without dominating any area of the office. The Monoprice also comes with a Micro USB and MicroSD card where you can store the blueprints for anything you would like to print with ease. If you’ve been thinking about getting a 3D printer for your office, now is the time to act—the Monoprice is available from Amazon for just $199.99, and ships to Prime users in two days or less. 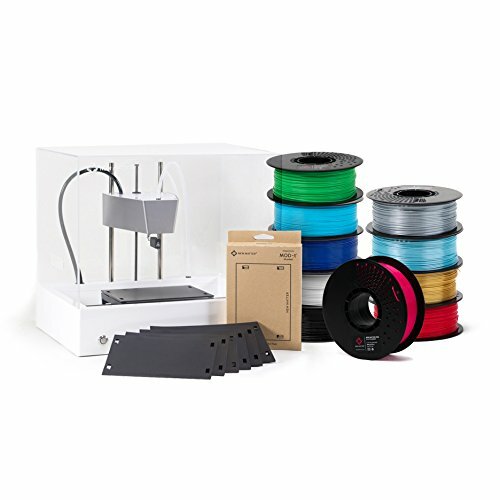 If you want or need your 3D printer to be assembled for you, simply select “Include installation” before checking out, and an additional $145 will be charged to your order, and your printer will arrive ready for action right out of the box. They say sitting is the new smoking, and that means millions of people are in danger—until they introduce a modern fix for chronic sitting, like the adjustable Varidesk, to office work stations. Starting at $375, the flexible Varidesk is an excellent addition to any work space. Those who already use it can tell you—this is an office tool that every desk should be outfitted with. Allowing its users to sit or stand and change positions anytime workers choose to with the flip of a switch makes Varidesk a #1 Best Seller on Amazon. Available in a variety of sizes to accommodate a variety of monitors and even dual displays, the Varidesk is reasonably priced for what it offers. Nearly 1500 Amazon customers have rated the Varidesk with five out of five stars—a true testament to the quality of the product and an assurance of what it offers its users. A two-tier design gives you the sightline you want for your monitor while keeping your arms and hands at the ergonomically correct height while sitting or standing, and with 11 different positions, you’re sure to find a setting that works for your own height while in a seated or standing position. 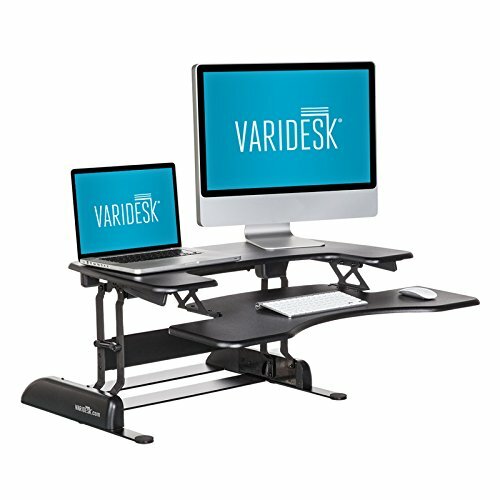 Varidesk’s patented spring-loaded lifting mechanism makes it powerful enough to lift as much as 35 pounds, which means even the largest, heaviest laptops and monitors are usable with this variable desk topper. Choose your Varidesk in black, white, dark wood, or butcher block right from Amazon, and receive this Prime-rated item within 48 hours when you order online. The world’s only microwave-and-erase notebook is exactly what it sounds like—and so much more. Rocketbook has truly reshaped how we take notes, and how we get our thoughts, ideas, and big plans to the cloud in a variety of ways. To begin, you’ll take notes inside the Rocketbook, just as you would with any other everyday notebook. But what comes next is revolutionary. After downloading the Rocketbook app to your phone, you’ll photograph your notes, and based on the information at the bottom of the page, they’ll be uploaded as crisp, easily discernable screenshots that automatically go to your Dropbox, Evernote, Google Drive, and several other cloud locations you can choose from the Rocketbook menu. You can even email Rocketbook pages to yourself, or send these uploaded documents to their own folder, for example, a folder labeled “My Ideas” in Google Drive. Once your notebook is full and you’ve uploaded each page to the cloud, you toss your Rocketbook in the microwave, and in the time it takes to make a cup of green tea, it will be erased and ready to reuse for the next round of ideas and thoughts you want to take down on paper. Wondering how the notes disappear in the microwave? it’s all about Rocketbook technology paired with Frixion pens from Pilot, which are made with ink that disappears when subjected to heat, hence the need for a microwave. 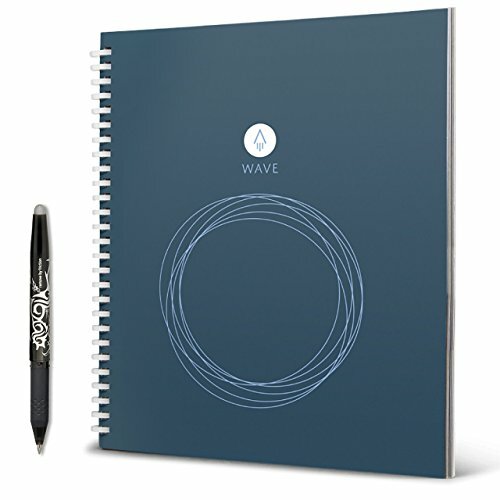 Finally, there’s a tool that connects our handwritten notes to the cloud side of our small business operations. You’ll quickly fall in love with how easily you can stay organized, and you’ll love the added bonus of keeping your work station and everyday life free of the clutter so many disparate notebooks cause. Rocketbook earns the number one spot on our list for its versatility and ease of use at the unbelievable price of just under $20—an incredible bargain! You may not have the financial ability to get every single one of these top five Amazon office gadgets for 2018, but at these low prices, you should be able to get one or two of these items to help you stay on top of tasks, stay organized, and manage your time and money wisely. Choose whichever item is going to best suit your small business needs, and you’ll find that you have a whole new way to prioritize your to-do lists and handle your everyday operational needs. And, most importantly, choose technology that allows you to have fun in the workplace—after all, starting your own business is all about independence and creating a new niche. You’ll find you’re able to offer more of yourself with a lot less effort when you’re work world and all your chores are properly planned. Take action, enjoy yourself, and stick to the habits that make you successful—this is what new technology should help you achieve. Janie Diaz is a veteran writer, editor, and digital marketing strategist living in California’s Central Valley between San Francisco and Los Angeles. As a first-generation Cuban-American, Janie has traveled the world, and has lived everywhere from Dubai, UAE to Antwerp, Belgium, and from Mexico City to Madrid. Janie speaks fluent Spanish, which she uses frequently to optimize Spanish language content for the digital space. With more than 19 years of experience as a professional writer and editor, Janie has created content in dozens of verticals, including the technology, health and wellness, education, legal, and financial industries. Janie is a married mother of two girls, a published poet, and an animal rights activist.